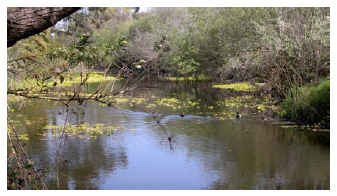 San Diego River - Mission Valley Preserve. The San Diego River Park Foundation says it expects to reach a milestone at a river clean-up event Saturday. The group estimates it’s removed one million pounds of trash from the San Diego River over the past four years. Volunteers with the San Diego River Park Foundation now spend 30 weekends a year removing garbage along the river from Santee to the river mouth at Ocean Beach. Rob Hutzel is the Foundation’s executive director. He estimates that volunteers remove about 5,000 pounds of trash from the river each month. Hutsel says a smaller group of volunteers picks up river garbage during the week. He says by this time next year the Foundation will reach its goal of removing trash from more than 300 locations it surveyed in 2008. I am curious, do they do anything with the trash that may have some value like selling it for scrap, etc to fund their work? And how do slot machines find their way to the San Diego River? Haven’t you ever noticed all those coins in our fountains and ponds? Those slot machines risk life and limb (well, 1 arm) to swim upstream every year where they face untold hazards just to make their way into the casino’s fountains and ponds where they spawn and then die. It’s all part of nature. Yes, I should have realized it was a spawning issue. Good one. Good one guys! Funny about spawning slots. A lot of what is found during river cleanups is house junk and construction materials/litter. People just throw stuff into the river and habitat instead of going to the landfill. The folks you see going through dumpsters finding stuff then import it to the river where they live and they in turn create the other majority of what we find. Carpeting, mattresses, food and drink containers, latrine matter, tents and camp gear. On and on. Very little is “scrap worthy” it’s all stuff you’d see out at the Miramar Landfill. The movement to clean up our river is growing. 1,000,000 F’n Lbs!Congrats to our awesome volunteers!